This is a little bit of an oversimplification of the Stoic view. Did ancient Stoics not go to war? Did Stoics not own slaves? We should avoid projecting modern political thoughts on ancient Stoicism. In-grouping is part of human nature. The distinction between a friend and an enemy is reasonable. Stoicism would never advise against following nature or reason. There’s no lack of evidence for what I called the attachment to the human. 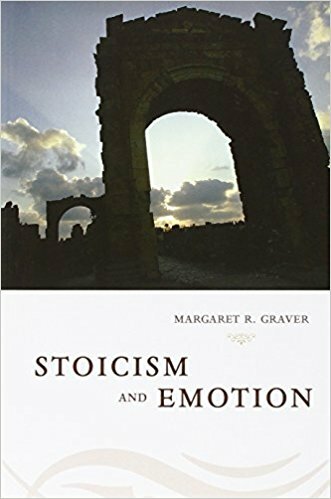 Those who aren’t familiar with this aspect of Stoicism might start with Cato’s speech in Cicero, On Ends 3.63: “This [our natural attachment to family members] is also the source of the mutual and natural sympathy between humans, so that the very fact of being human requires that no human be considered a stranger to any other” (Woolf’s translation). The claim the ancients made is that while we do indeed have a natural orientation to our families and our immediate communities, our kinship to other human beings does not stop there. Reason requires us to acknowledge our relatedness even to the stranger and the foreigner, and when there is need, to do what we can for them. There may be situations where other responsibilities take precedence—that is normal moral reasoning. But that doesn’t mean your responsibility drops to zero. Did the ancient Stoics live by their own principles? Not always, I’m sure, any more than we do. But if the principle is sound, then it was incumbent on them to take it seriously and try to make the application, difficult as that can be. And the same is true for us, in our lives and yes, in our politics too. You can argue against this principle of philanthropia if you like, Mortran, but you can’t wall it off from us just by pointing out that some ancient Stoics held slaves. That’s not logical at all. Outstanding interview Margaret Thank you!! I was left wondering about the sentence “We don’t need that.” In relation to smiling and having a good time. I would love a little clarification from Margaret. As written one take-away could be the common misconception that Stoicism means you must be dour and serious and not have fun or pleasure in your life. Okay, Katherine, I can see that I need to make that clearer. Suppose you talked to this emergency room physician who’s been knocking herself out trying to save somebody’s life, and suppose you asked her, “Did you enjoy doing that?” The question seems fundamentally misguided, right? But maybe instead you ask, “Do you feel good about what you did today?” The answer could be a resounding yes. If that accords with your intuitions as it does with mine, then you have a point of entry to what Seneca is saying about joy. The deep issue is what is the role of pleasure—good feelings, mental as well as physical—in the life of someone we admire? Already in the earliest phase of Stoicism we have Chrysippus stating that pleasure is not the goal; instead it is an epigennêma, a by-product. That is, it’s possible to have pleasure and even intense pleasure without that being your reason to act as you do. Seneca explains the view too, in a beautiful analogy from On Happiness 9. He says that pleasure is like the wild poppies that spring up unbidden alongside a field of grain. A by-product, then, of what you do not for the sake of the pleasure, but because it is good and right. And yet the pleasure is there. Margaret thank you for your clarification. It was very helpful and made complete sense to me. For example, raising my children was often challenging but remains the highlight of my life. As I reflect further most of the things that have given me the most pleasure and meaning were challenging and demanded the application of one or more kinds of virtue.